She's here, and she is a she, and she is the sweetest, little thing you have ever seen! At 7 lbs 5 oz, she is our smallest baby, and it is a foreign experience after my nearly 10 pounder, George. Things have gone so smoothly - the delivery, hospital stay, nursing, etc. God exceedingly answered all our prayers for health and safety. 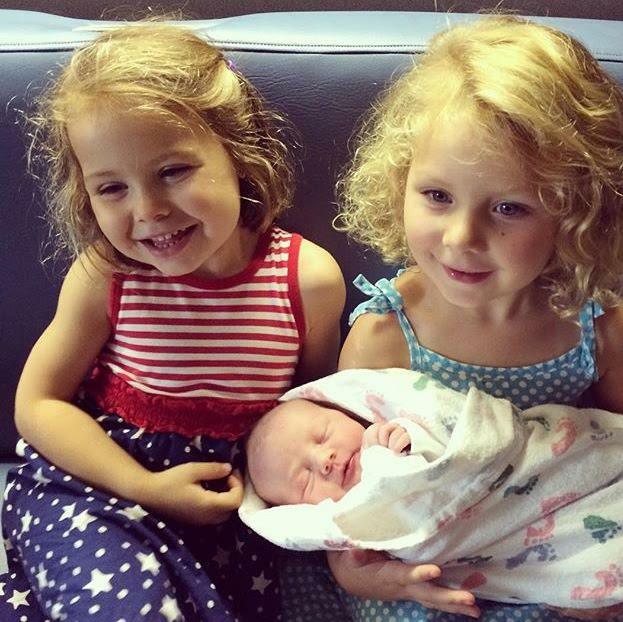 The kids are Caroline's biggest fans, and they are feeling so big and proud their new sister. We are deeply grateful for the precious, undeserved gift we have in our new daughter, Caroline. So excited for you all! 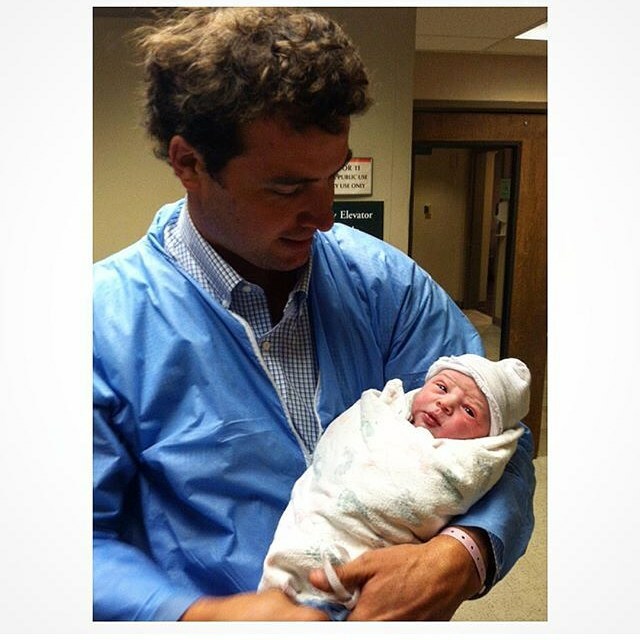 Can't wait to meet sweet Caroline! She is gorgeous. You are gorgeous. And your family is gorgeous. oh LOVELY!!! her name is just lovely and she looks like such a peach! so happy for you all! So happy to hear of Caroline's safe arrival!